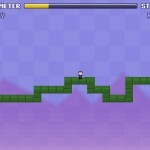 Platformer Pixel Armor Games Click to find more games like this. 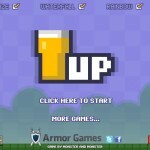 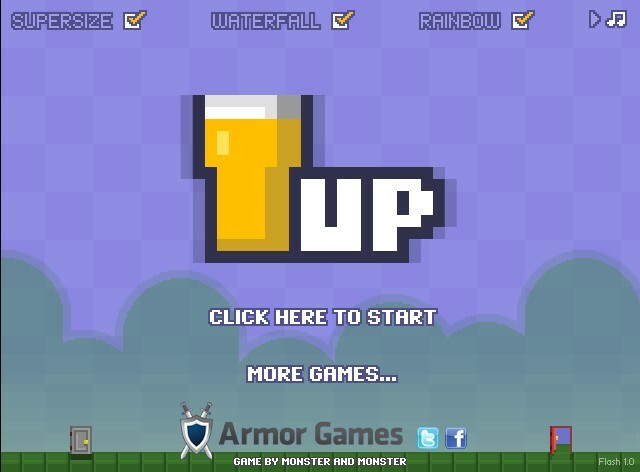 Run, jump and puke your way across 50 levels whilst trying to collect all 700 pints in this quirky flash platform game. 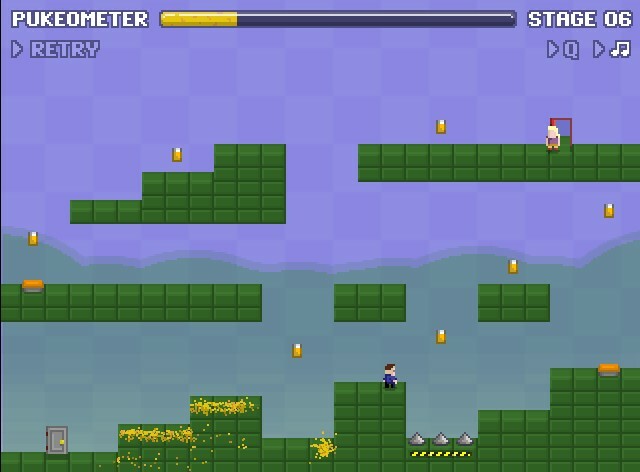 Use the left and right arrow keys to move and space to jump. 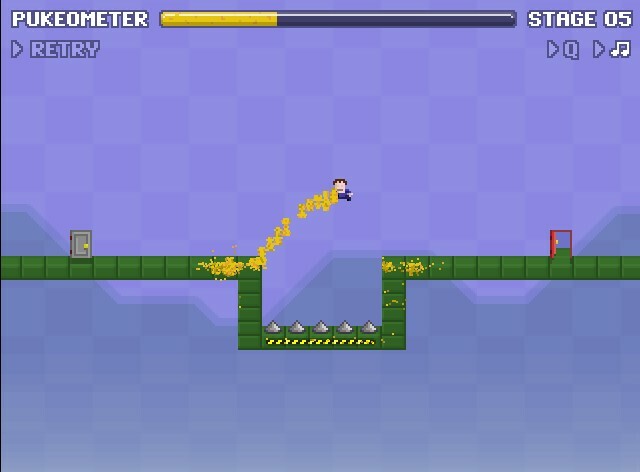 If you've had a drink or two then press (and hold) the spacebar mid-jump to propel you higher and further! 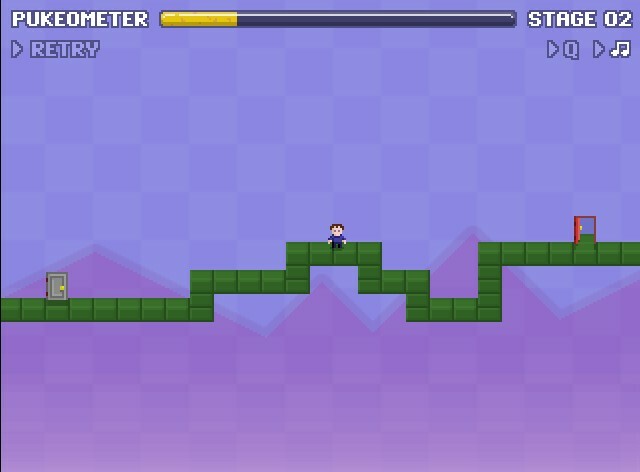 If you want to unlock the built in cheats type "hack" when the game starts (screenshot number 4), if you are in the game - quit to the main menu.